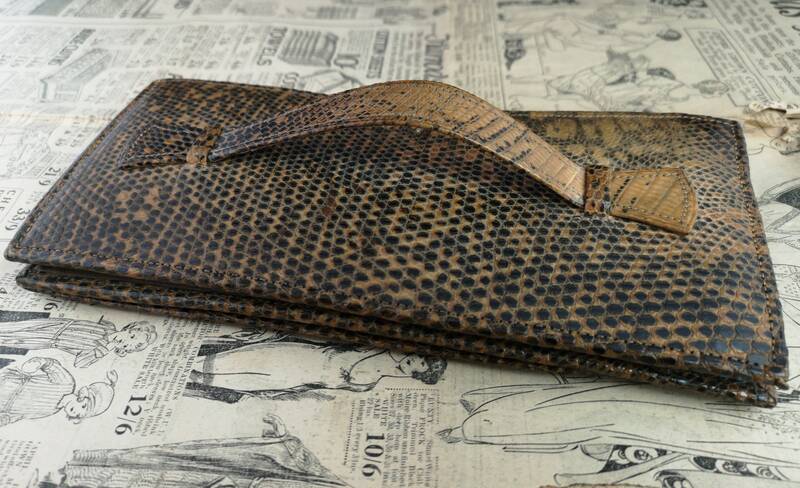 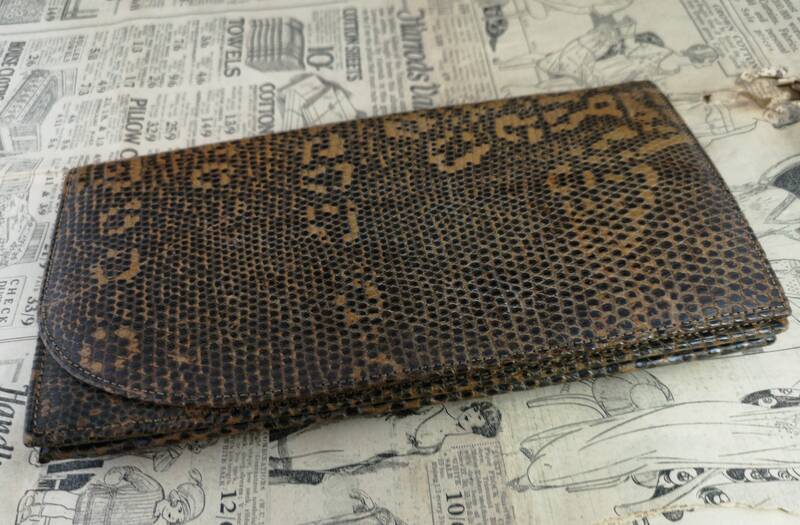 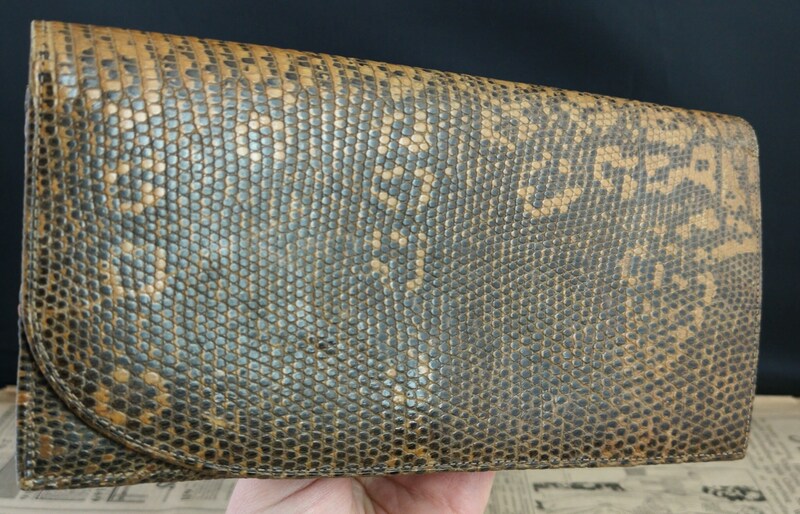 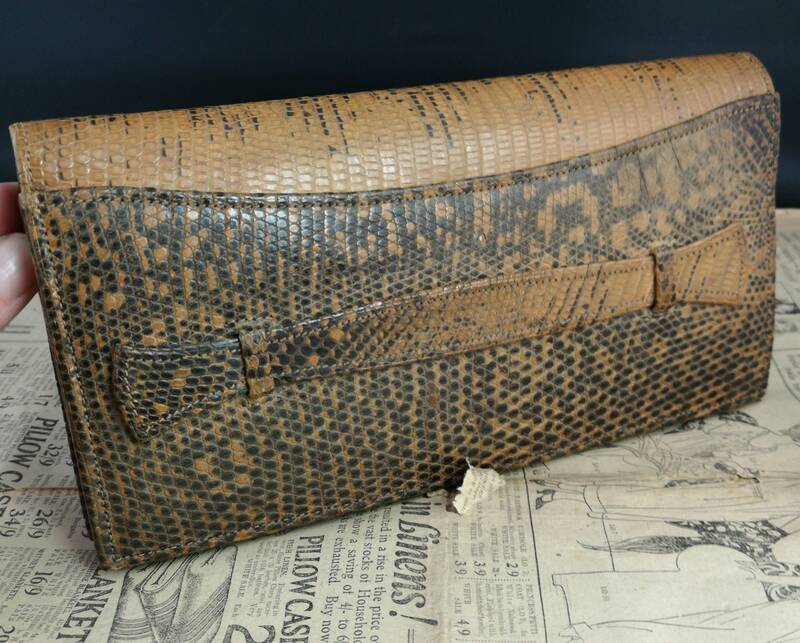 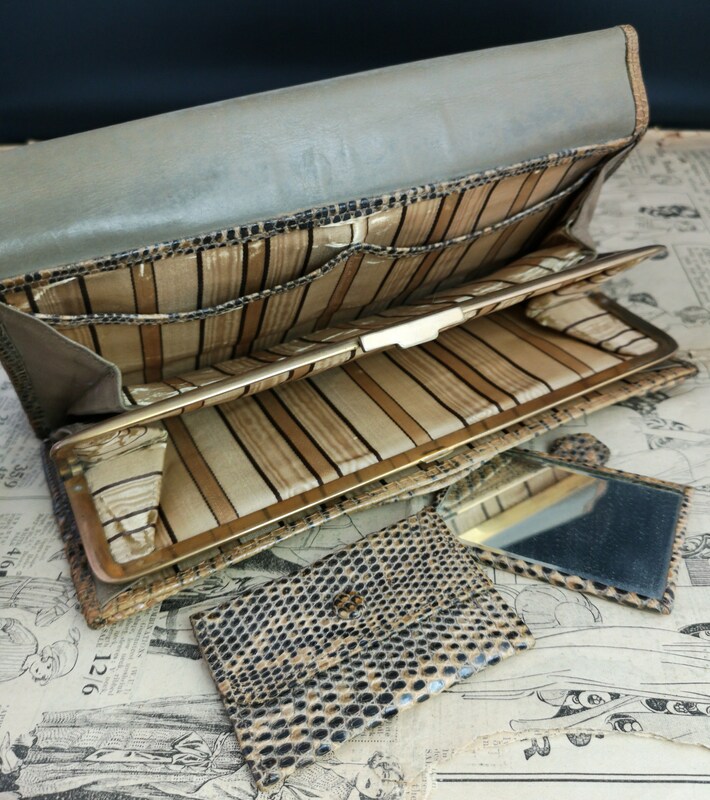 A very stylish vintage 1930's clutch purse in a faux snakeskin leather. 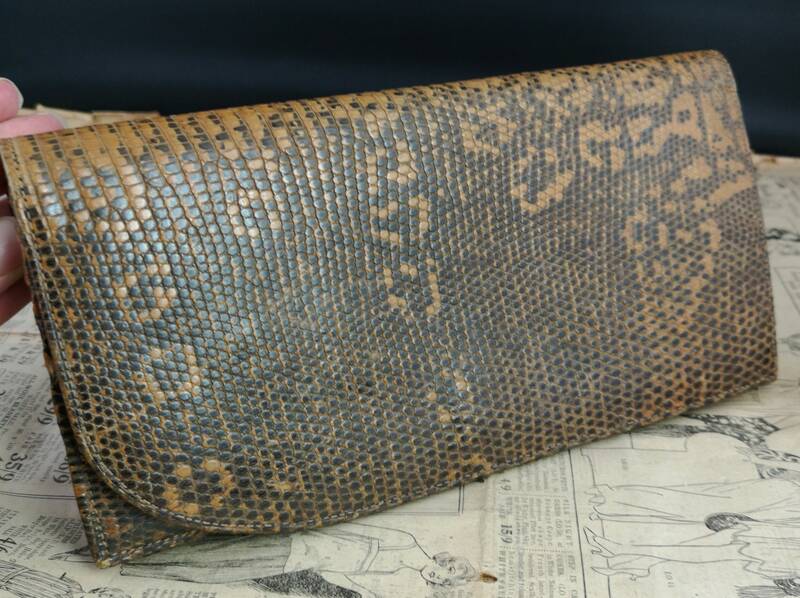 Very well made, the pattern is in dark brown and tan tones making this clutch bag versatile and easy to style with many outfits. 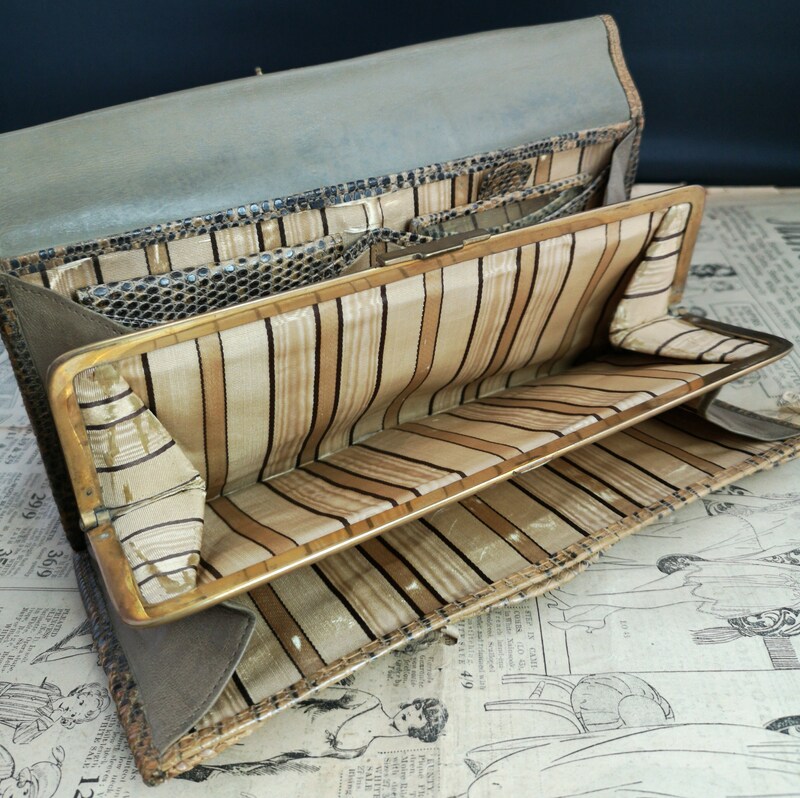 The interior is finished in a gold, black and cream striped grosgrain and it has gold tone metal fasteners. 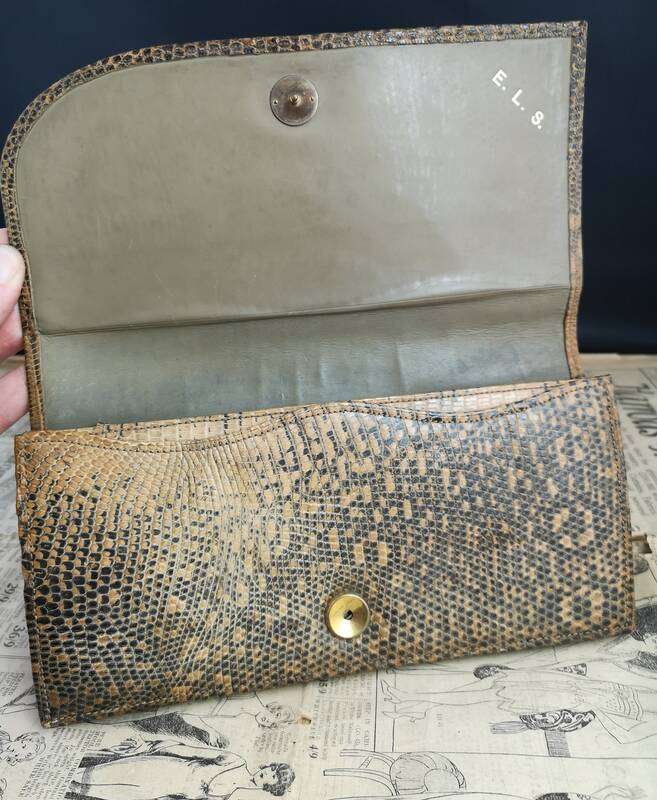 There is a small matching coin purse and mirror inside finished in the same faux snakeskin pattern, there are some initials inside of E. L. S in gilt lettering. 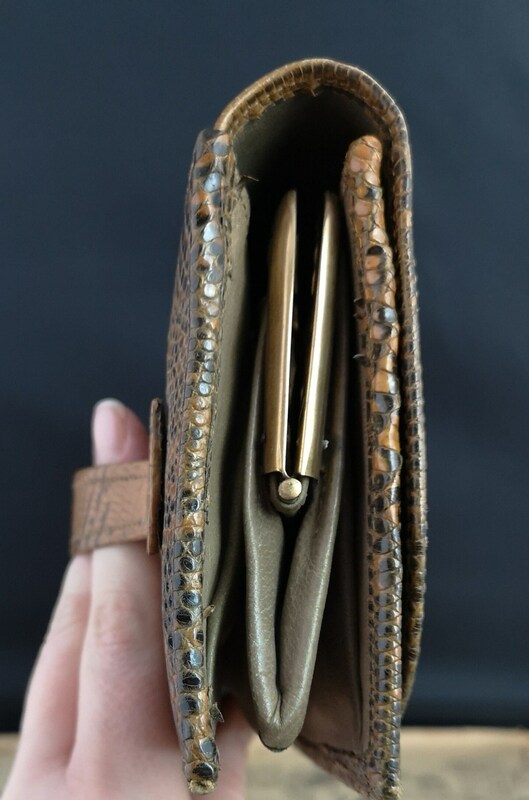 There is a flat handle on the back to slip over the hand making it easy to carry. 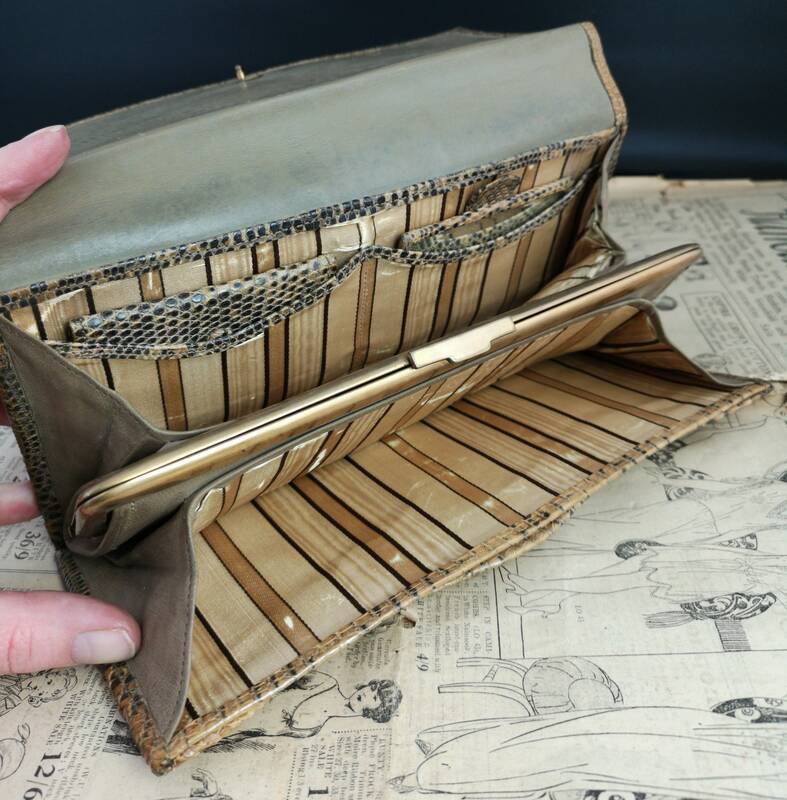 Overall this 30's clutch purse is in good condition with little wear, some wear to the grosgrain inside but would still make the perfect vintage day to night purse.